Planning a holiday to Penang? Need a hotel reservation? Why not eschew the popular hotel chains for and book into one of the many gorgeous heritage hotels that are located within the heart of Georgetown, the capital of Penang. 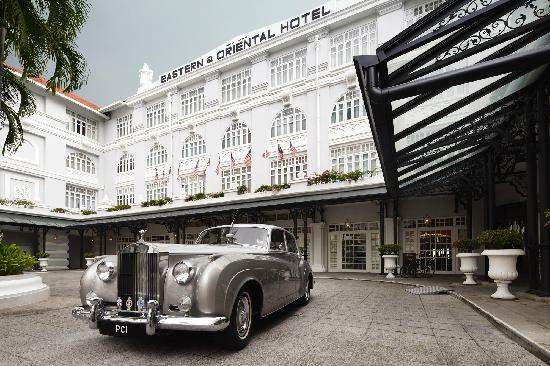 The luxurious 19th century heritage Eastern and Oriental hotel is the grand dame of Penang’s hospitality sector. Located on the picturesque Georgetown waterfront, this all-suite hotel popularly referred to simply as ‘E&O’ consists of two main sections, the old-world heritage wing and the fairly modern Victory Annex wing. The sumptuous hotel, which is outfitted with old-world furnishings and antiques, exudes a decidedly regal air, as it offers a range of top-notch facilities like 24-hour butler service, a large outdoor swimming pool, a full-service spa, a fitness center and much-coveted free Wi-Fi. All suites at the hotel feature a classic décor and are sufficiently large in size, with well-defined work and sleep areas. The suites at E&O, are further equipped with modern-day conveniences like in-room safes, cable TV and luxurious, well-stocked bathrooms. The hotel hosts six onsite dining options offering a variety of international and local cuisines including scrumptious English afternoon tea sets. The Seven Terraces hotel is another charming heritage hotel located in the heart of Georgetown, bang next to the city’s famed Goddess of Mercy temple and various other landmarks like the Khoo Kongsi house. 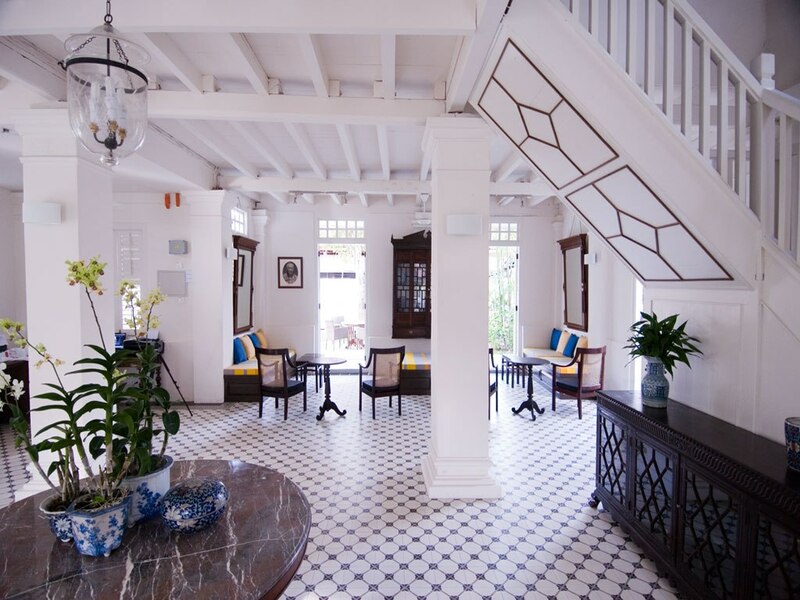 Housed within a converted row of seven Anglo-Chinese terrace homes dating back to the 19th Century, this small boutique hotel offers only 18 suites and is equipped with amenities like an outdoor swimming pool, an in-house Nyonya restaurant and free Wi-Fi in all areas. 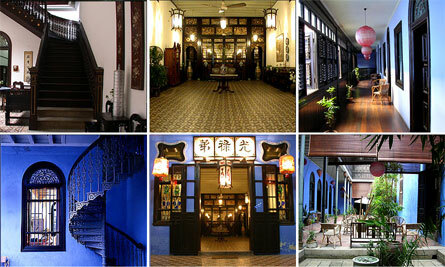 Penang’s historic Cheong Fat Tze mansion or the ‘blue mansion’ ranks as one of its top attractions. This grand heritage edifice now operates as a hotel offering well kitted out rooms equipped with classic wood furnishings, air conditioning, in-room safes, tea and coffee making facilities and so forth. Common amenities at this 38-room hotel, include a library, a garden, a common breakfast area, onsite parking facilities and free Wi-Fi. 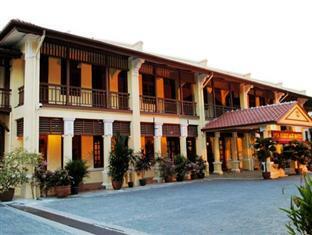 The 1926 Heritage hotel is housed in a historic building, which once served as the abode of British colonial administrators in Penang. Facilities at the hotel include an outdoor pool, two restaurants, a full service spa and free Wi-Fi. The rooms at this quaint but well-outfitted heritage hotel, are equipped with various modern amenities like flat-screen TVs, tea-coffee making facilities and en suite bathrooms supplied with a range of complimentary toiletries. 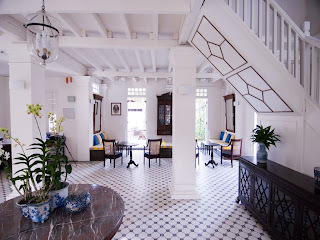 Clove Hall is a small boutique hotel housed in a colonial-era bungalow situated in the World Heritage hub of Georgetown. This beautifully adorned hotel offers only six sumptuous, spacious suites outfitted with old-world but luxurious furnishings like wooden floors, mosquito nets, four poster beds, day beds, ceiling fans and Peranakan inspired soft furnishings. Each suite also has a well-stocked en suite bathroom and features a balcony or a patio. The small hotel also features an outdoor pool and has arrangements for organizing massages, beauty treatments and cookery classes for guests. Clove Hall is private and small and presents the perfect location for a romantic getaway in Penang. 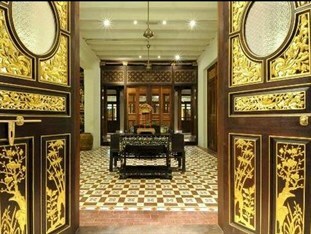 The small, stylish boutique hotel, Muntri Mews is housed within a preserved row of ancient Peranakan homes. The hotel offers only nine well-appointed suites adorned with locally sourced furniture and antiques. However, the suites at Muntri Mews feature several modern-day amenities like flat screen TVs, air-conditioning, en suite bathrooms and free Wi-Fi. Further, each spacious room suite opens into a tropical garden or a verandah. The hotel is also equipped with a small gift shop, a business center and a restaurant called the Muntri Mews café offering a smorgasbord of local and international delights.